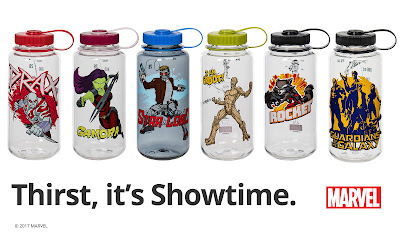 Nalgene Outdoor introduces a new universe of its popular reusable bottles inspired by Guardians of the Galaxy characters. 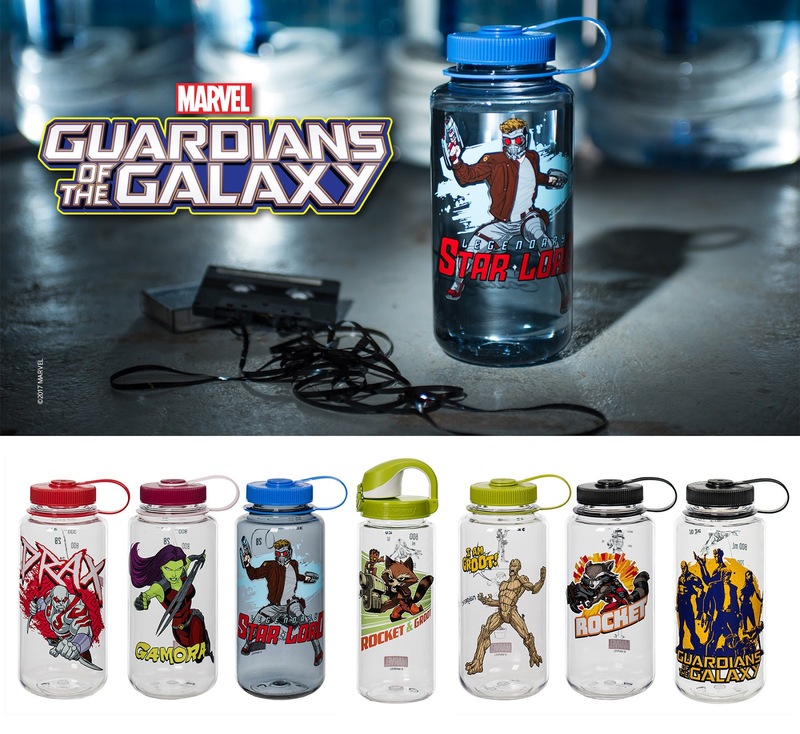 As part of its recent collaboration with Marvel, Nalgene Outdoor introduces a new universe of its popular reusable bottles inspired by Guardians of the Galaxy characters. The Guardians of the Galaxy bottles add to Nalgene's newly-launched Avengers bottle collection. "We'll leave the fate of the universe in the Guardians' capable hands, but when it comes to defeating thirst, our bottles are known to hydrate even the toughest of Super Heroes," says Eric Hansen, product director, Nalgene Outdoor Products. "Nalgene's durable bottles together with the beloved characters from Guardians of the Galaxy bring this collaboration to life in another creative way we believe our users will enjoy." For Marvel enthusiasts with big thirsts, Nalgene Outdoor selected its iconic, Made-in-USA 32-ounce Wide Mouth bottle for the Guardians collaboration. The new Guardians of the Galaxy bottles will include seven different designs featuring Star-Lord, Gamora, Drax the Destroyer, Groot and Rocket Raccoon. These bottles will join the popular Marvel Avengers collection featuring Captain America, Iron Man, Spider-Man, Hulk, Black Widow, and Marvel Avengers group. "Marvel, a brand whose celebrated Super Heroes inspire people to achieve their potential, has been a great collaboration for Nalgene," adds Hansen. "We're looking forward to introducing the Guardians' Nalgene bottles and expanding the collection with other anticipated Marvel properties later this year." All of Nalgene Outdoor's products are BPA- and BPS-free, dishwasher safe and carry a lifetime guarantee. Samples and product or lifestyle photos are available upon request. For more information, visit www.nalgene.com.